You will be making payment to our verified Paypal account. With 188 million active customer accounts worldwide, PayPal is a truly global payments platform that is available to people in more than 202 countries, allowing customers to make payment online securely and speedily in more than 100 currencies. 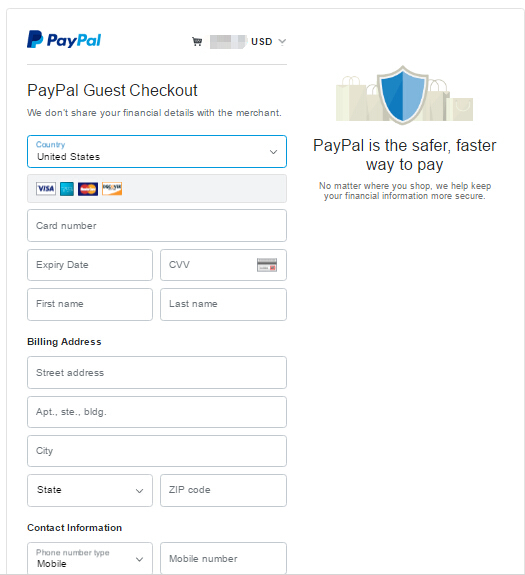 If you already have a paypal account, you would want to make payment with Paypal because it is fast and secured. On the other hand, you do not need to have a Paypal account to make payment with paypal. 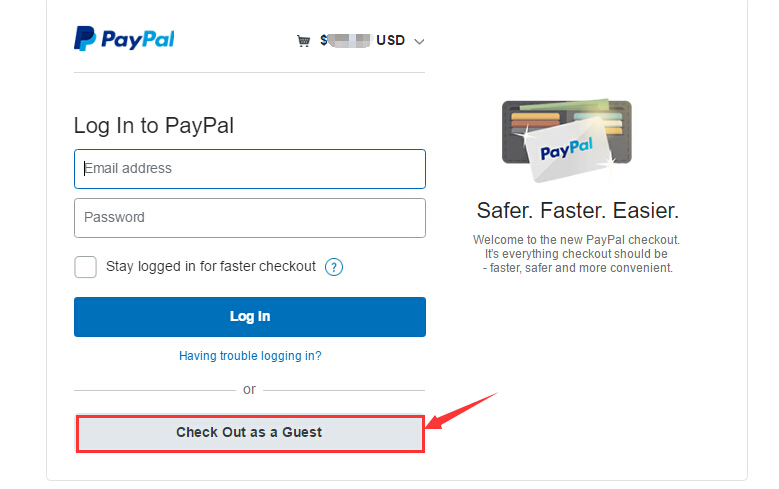 If you do not have a paypal account, simply check out as a guest and you could make payment with credit cards for your order. Please visit www.paypal.com for more information. Q1: I am not a Paypal member. Can I make payment with credit cards via Paypal? Q2: I have made payment in a form of e-cheque with Paypal. How long does it take to clear? A2. It takes about 3 to 5 working days for a Paypal e-cheque to be cleared. Your purchase would be validated once the e-cheque is cleared. We accept payment with Visa and Master via Worldpay. Worldpay is one the safest payment gateways widely used by online merchants in all over the world. With the head office located in the UK, Worldpay provides secure payment services for small and large businesses, including payments online, card machines and telephone payments. WorldPay processes millions of payments every day, for every type of business, securely and quickly. Worldpay's payment processing systems are compliant with PCI DSS industry security standards. Please visit www.worldpay.com for more information. Q1: I have entered my credit card details on the worldpay payment page, how come it is not accepted by Worldpay? A1: As our Worldpay account is set up in Singapore, you will be considered making an overseas payment if you are not located in Singapore, and some of the credit card companies have restrictions when it comes to overseas payment. You may have to give your bank a call and alert them on such a payment and instruct them to allow the payment to go through. Q2: Why am I being charged a processing fee after making payment with my credit cards? A2: In some cases, your bank may charge you for a very small amount of processing fee when making payment with credit cards on Worldpay. This is because a foreign transaction has taken place and some banks charge a processing fee on that. Q3: I am not able to make payment after selecting the payment method, what should I do? A3: If you are not able to go to be directed to either the Paypal or the Worldpay page after selecting the payment method, please send an email to our customer service at sales@lingerie-supplies.com. Our customer service would re-send a payment link to your email. Q4: Is it 100% secured to make payment with my credit card on your website? A4: Yes it is 100% secured. We do not process your credit card payment directly on our website. All payment would be processed on the page of the payment gateway companies such as Paypal or Worldpay when you click on the payment button for your order. As such, we will not store any of your credit card information and your credit card details would be provided by you directly to either Paypal or Wordlpay. Q5: Who is Turnkeymaster? This name appears on the Worldpay's payment page when I select credit cards as payment method. A5: Turnkeymaster is our parent company. The payment page is correct if you see this name appearing on it. Complete the Send Money form in the Western Union's agent office.